Covcell is an independent online publisher that is part of Adato Media, LLC. Each Covcell GED Prep course, lesson, and all materials are designed by master teachers and Ph.D. students from top universities across the United States who have many years of shared experience preparing students for standardized tests like the GED. Instilling confidence in students should be the primary goal of any education program because confidence increases the desire to learn which, in turn, increases success. Being engaged and excited is always the first step in any new endeavor, and Covcell is leaps and bounds ahead of its competitors at creating both engagement and excitement. GED stands for General Educational Development which is the process by which someone earns the equivalent of a high school diploma commonly known as a GED certificate. However, a true GED certificate is one obtained through GED Testing Service. On 1 January 2014, two other high school equivalency (HSE) tests were approved in the United States. These are the HiSET—developed by Educational Testing Service—and the TASC (Test Assessing Secondary Completion)—developed by McGraw Hill. Successful completion of any of these tests is, essentially, the same education as a high school diploma and provides all of the privileges associated with a diploma such as the ability to enlist in the military, obtain a job, or enroll at a college or university. There are many GED prep courses from which you can choose to obtain your HSE: taking in-person classes, studying from books, hiring a tutor, or utilizing online GED prep tools. GED video classes are becoming an increasingly important aspect of GED prep largely due to an increased reliance on technology and Internet-based strategies. Further, online video classes are widely available and offer a level of flexibility not found in live classes. With this flexibility, you can choose where, when, and how to study for your HSE. Just Google “GED preparation” and you will be inundated with many free online GED classes for adults and other websites offering strategies, practice tests, and other resources. But how do you know which to choose without having to painstakingly plod through them all until you find one that you find valuable? Perhaps you will look for product reviews or speak to friends and family members, but you really don’t know how a particular program will work for you until you try it. The fact of the matter is that many of these online programs are structured and are not geared toward the individual student. Let’s face it: everyone is different. We all have different strengths and weaknesses, likes and dislikes, ways to learn, motivations, and schedules. A fully customizable program is beneficial for all learners, regardless of these factors. At the heart of the Covcell program is its principle of “small steps” that helps students progress through a series of small successes to build their confidence. While long-term goals—such as passing your GED test—are necessary, sometimes, without short-term goals, we can get discouraged. With Covcell’s “small steps” these short-term goals are easily attainable and help maintain motivation. Covcell GED Prep includes informative video lessons that cover the four GED subject tests—Math, Language, Social Studies, and Science—as well as test-taking strategies and practice tests. Lessons are designed to be short and sweet, easily digestible, and geared toward individuals busy people or those who don’t want to spend several hours at a time studying. These “bite-sized” lessons are much easier to remember that content delivered during longer sessions such as is common in live HSE classes. Additionally, each video focuses on a single topic so you can ensure that you understand the concept before progressing to the next. All of Covcell’s videos, lessons, materials, and practice tests are geared toward helping students pass any of the HSE tests on the market today. What you will find particularly helpful is that the Covcell GED prep program is completely student-driven. In other words, you get to decide which topic(s) you want/need to learn and how quickly you want to progress. For example, math tends to be a common problem area for most students working toward their HSE. Covcell’s videos explain difficult math concepts and problems in a step- by-step, clear, illustrated manner. There is also a written transcript of the material presented in the video, so whether you are an auditory or a visual learner, one of these methods will be beneficial. Covcell also provides the ability to track your progress and large availability of practice tests. These two factors are among the most cited features by successful students. Like any other endeavor, if you can see your progress as you go, you will want to continue. As for tests, once you have mastered each lesson in each topic, taking practice tests not only ensures you know the necessary material but also helps you get used to how the tests are structured so you will know what to expect on the actual test. Most students will require at least six months to fully prepare to complete all four sections of the GED test successfully. If you have been away from the classroom for a while, you can expect it to take longer. A highly recommended practice is to study three times per week for 45 minutes to one hour each time. 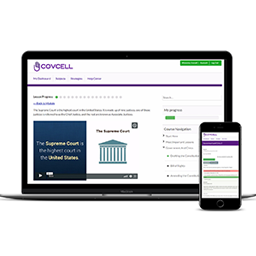 If you watch three Covcell videos daily, you can expect to spend between 10 and 13 weeks of learning and mastering each individual subject—and taking practice tests—to successfully pass. Covcell offers 108 free online GED classes and practice tests through Best GED Classes. Once you are finished with the free content, you can easily upgrade to Covcell’s full program. Covcell offers affordable 3 and 6-month plans. The 3-month plan costs $27 and the 6-month plan costs $47. Each program contains hundreds of GED prep videos, progress tracking tools, practice tests, and test-taking strategies. If you are motivated and coachable, this program will work for you. The Covcell GED Prep Program is a game-changer in the GED education realm. From videos to motivating terminology like “game plan” and “cherry picking” to various strategies to a virtual treasure trove of practice tests, if you are truly serious about earning your GED, this is, by far, the best product on the market today. What are you waiting for? 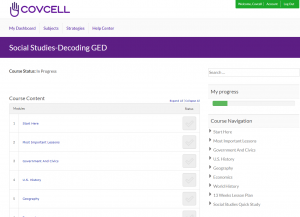 Check out Covcell GED Prep today! 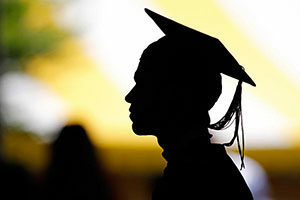 ← Why Should Students Get Paid To Drop Out?